Savannah's Celestian Observatory was such a pleasure to visit, so much detail was added to each area. 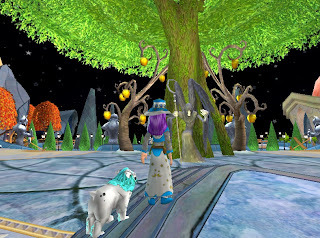 First arriving at the house I was looking at a grand arena area with trees and statues each place it the perfect spot. Savannah had told me her favorite area are the grand entry and her history room though I really love this small area where she made a arch with crab apple trees and a wraith statue. My next favorite area was this fantastic trip into space. I simple love how she used the great spiral rugs for that added clear view for walk path simply splendid. 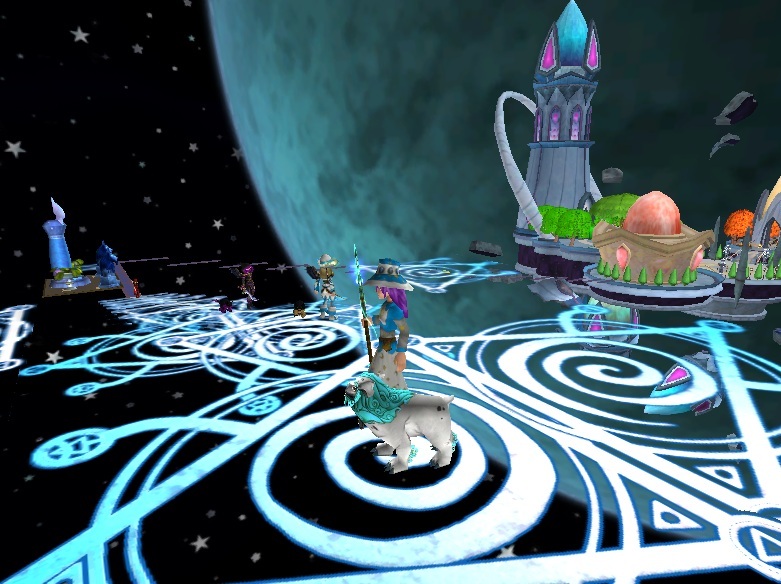 I want to thank Savannah for allowing me to visit her Wizard101 house. To view more images of this amazing house check out the slide show. Until next time,happy house decorating.